This Martin Luther King Jr. Day, we would like everyone to take a moment to reflect on how we can come together as a community to honor the mission for which King ultimately gave his life. King led the civil rights movement for less than 13 years when, in a fate similar to his idol Mahatma Gandhi, his life was cut short in a brutal act of domestic terrorism. King’s legacy is now memorialized in schools, churches, museums, and parks all across the globe. Although Martin Luther King Jr. Day was signed into federal law in 1983, it wasn’t observed by every state until 2000 when Utah finally passed state-level legislation. 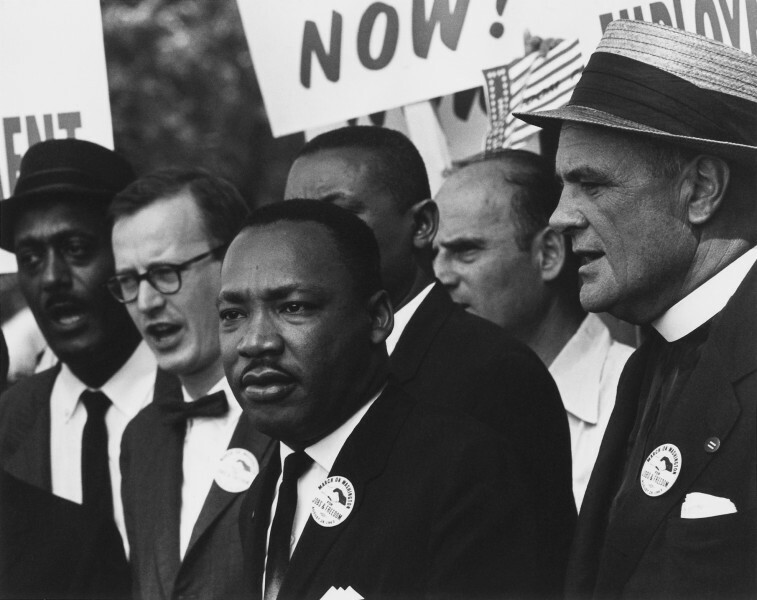 Across the country, many Americans use this as a Day of Service to honor King’s devotion to the fight against racism, war, poverty, and global injustice. Every year it begs the question: What can I do to honor King’s legacy? 1. Get involved with local nonprofits by volunteering your time, skills, or resources. Check out Heart of West Michigan United Way or ServeGR for an extensive selection of volunteer opportunities in the greater Grand Rapids area. 2. Organize a clothing drive at your place of business for a local shelter. January is typically the coldest month of the year and many organizations have lists of items that they seek to provide to people in need. Guiding Light, HQ Runaway & Homeless Youth Center, and ICCF all have wish lists on their website. 3. Facilitate meaningful conversations about the full, comprehensive history of King and the civil rights movement, beyond what was learned in classrooms. 4. Recognize that while King’s leadership was crucial to ending racial segregation, it did not bring an end to racism in the United States. It is essential that we are always working to expand on the movements of the past. As a social enterprise, Comprenew strives to embody the mission of King by offering workplace development opportunities to people with barriers to employment. Employment barriers can include factors such as economic hardship, disability, criminal records, or unstable housing. Despite King’s efforts during the civil rights movement, many of these factors still disproportionately affect communities of color. Comprenew also offers basic computer literacy classes to at-risk populations in an effort to bridge the digital divide. The class is free to participants and provides them with an opportunity to purchase a discounted computer upon competition of the course. According to a 2015 report by the U.S. Census Bureau, 82 percent of non-Hispanic white households had a home computer, while for African American households it was only 65 percent. On the local level, 25 percent of families in the Grand Rapids Public School district do not own a home computer. It’s important for people and businesses alike to recognize areas for improvement when it comes to combating inequality. Racial and economic injustices are prevalent in every aspect of the human experience, from infant mortality rates to access to technology. This Martin Luther King Jr. Day we would like everyone to take a moment to reflect on how we can come together as a community to honor the mission for which King ultimately gave his life. Organization of Afro-American Unity . By Malcom X. NY - New York, New york, June 28, 1964. King, Martin Luther, Jr. "I Have a Dream." National Archives. August 28, 1963. https://www.archives.gov/files/press/exhibits/dream-speech.pdf. Weaver, Rasheda L. "What Are Social Enterprises Doing to Address Racism in America?" The Huffington Post. March 11, 2016. https://www.huffingtonpost.com/rasheda-l-weaver/what-are-social-enterpris_b_9441722.html. "My Life, My Love, My Legacy." The Martin Luther King Jr. Center for Nonviolent Social Change. http://www.thekingcenter.org/. Ryan, Camille and Jamie M. Lewis. "Computer and Internet Use in the United States." United States Census Bureau. September 2017. https://www.census.gov/content/dam/Census/library/publications/2017/acs/acs-37.pdf.